Are you looking for reliable and independent Chinese-English translation? Would you like to use a Chinese translation and interpretation service that is operated by highly experienced professionals in Perth, Western Australia? If yes, then you are in the right place! 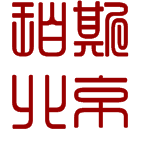 Perth Beijing Translation and Interpreting Services Pty Ltd is a truly Perth-based Chinese translation firm, specialising in English to Chinese and Chinese to English translation and interpretation. Why Use Our Chinese translation and interpretation Service? What do we translate and interpret? General translation: presentations, brochures, business letters, websites, contracts, memorandum of understanding, transcriptions, subtitles, voice overs, emails, handbooks, business cards, licenses, resumes, speeches etc. Industry Specific Translation: translation of texts specific to financial services, resources and mining, tourism, education, agriculture, engineering, legal, immigration,real estate etc. Mr. Alex Shi (Managing Partner) was born in Beijing and came to Australia in 2002 where he studied Accounting, Finance and Business Law at UNSW. Alex has diverse experience in both China and Australia, working for Deloitte and Glencore in Beijing before working with a leading national financial services firm in Perth. Mr. Shi’s pedigree as a translator is second to none with both his parents being influential business journalists within China. Mr. Shi’s previous translation and interpreting experience has focused on the Agriculture, Education, Resources, Engineering, Properties, Tourism, Financial and Business sectors. His clients consist of small, medium and large businesses/organisations in WA. 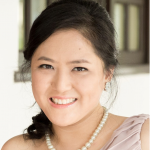 Ms. Helene Hoi-Ying Fung (Senior Consultant) graduated from a double degree course in engineering and science at the University of Western Australia, obtaining first class honours in both bachelor degrees. Helene also has a postgraduate degree in Finance. Helene has worked in management consulting and business analysis for 12 years, before entering the translation and interpreting industry. Helene provides on-site, telephone and video interpreting services, and also often acted as trilingual master of ceremony for events and provided voice over for video productions. 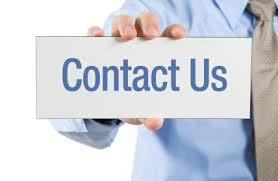 Contact our team now and we will take care of your project from the beginning to the end. The Perth Beijing Chinese School is a great school for anyone looking to learn Chinese! The teachers are patient and knowledgeable and keep the class going at a good pace. They also encourage questions and discussion in relation to vocabulary, characters, grammar, and so on. The school is also very flexible in terms of class attendance. I strongly recommend this school! Alex makes learning Mandarin really enjoyable and easy to understand - you won't be disappointed! I've been studying with Alex for 2 months now and have found him to be welcoming, attentive and flexible. The class sizes are small so we all get a chance to practice our speaking skills and be corrected on pronunciation. I would recommend these classes to everyone wanting to study mandarin. It's a much better format then large language classes and if classes are missed they can be made up at another time. Plus the night time classes are great for fitting around work, uni and other commitments. My decision to enrol at the Perth Beijing Chinese School has proved to an excellent one. The methods of instruction by Mr Alex Shi are of the highest standard possible. His methodical approach to teaching the Chinese language is superb and I cannot believe how quickly we have progressed. Alex treats everyone with the highest respect and dignity and is very patient with all students. I highly recommend his services.